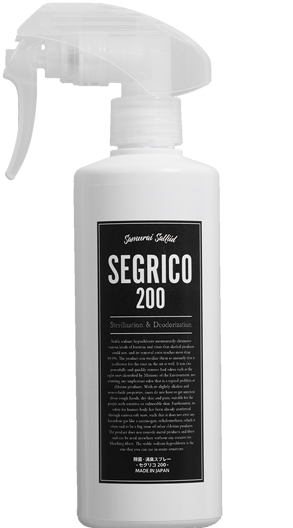 A disinfectant and deodorizing spray made with twice the concentration of "Stable Sodium Hypochlorite" as the original SEGRICO. This one spray can be used for all scenes in everyday life. It is a "Next Generation Disinfectant and Deodorizing Spray".